Aug 31 Campbell's Soup Thinks I Am a Hipster. The soups feature ingredients that are very "in" right now among the Whole Foods crowd - quinoa, lentils and chickpeas. They've even helpfully put photos of hungry young people (sans their usual scowls and probably riding fixed bikes just out of frame) on the packaging - just in case you aren't aware that this isn't for olds. Vila and his colleagues went to such "hipster hubs’’ as Austin, Portland and San Francisco to study the rituals and preferences of people in their mid-20s and 30s. They shopped with them. They ate at their favorite food trucks, neighborhood restaurants and, sometimes, they ate home-cooked meals in their homes. "We learned a lot,’’ Vila said. "They are restless spirits with adventurous tastes." As a restless spirit with adventurous tastes, I'm torn on this campaign. On one hand, spicy chorizo and pulled chicken with black beans sounds pretty amazing. On the other hand, I don't like being marketed to in such a forceful manner. This feels like a slightly more mature version of the decades old "Trix" campaign - "Silly rabbit, Trix are for kids!" By clearly stating that the product is for children, it creates a feeling of ownership for the consumer. This product is made for me, I must buy it. However, once your subject is old enough to drive and tell the difference between marketing ploys and tricks, it's imperative to craft targeted ad campaigns like this very carefully. It's very hard to walk the fine line between acknolwedging your Gen Y members and patronizing. This product was just announced, so it's yet to be seen what kind of ads will surround it. What do you think? 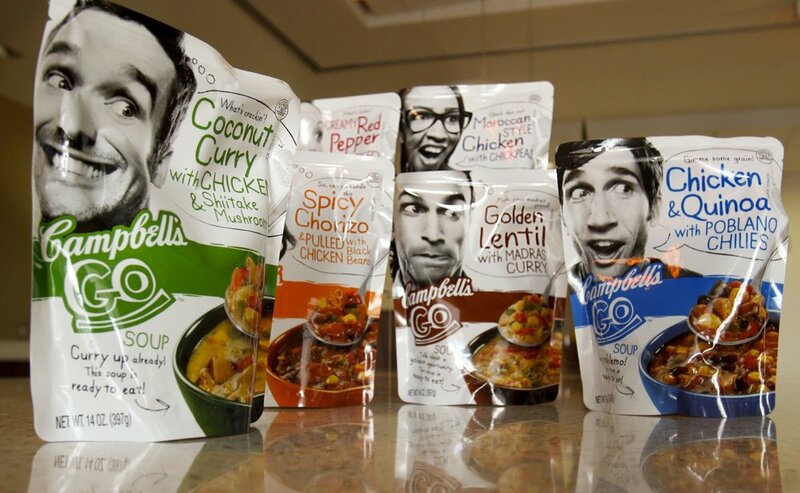 Will this new line of soups be successful? Honestly, I'll probably try it, mainly because the flavors seem tasty and new. Let us know in the comment section!